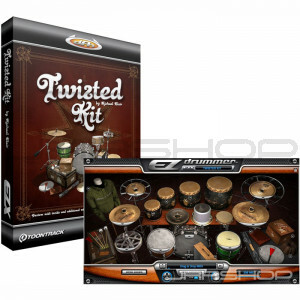 The Twisted Kit EZX® was developed in collaboration with Michael Blair and Sontronics Microphones. Michael Blair also played and toured with Waits on Franks Wild Years, the follow up to Rain Dogs, and later became an integral part of the recordings for Elvis Costello’s Spike (1989) and Lou Reed's Magic and Loss (1992). Spike became Costello’s most commercially successful and sonically adventurous album to date. Michael also has added his trash-can consciousness to records by the respected producer Hal Willner, in "tribute" albums celebrating the work of composer Kurt Weill, poet Allen Ginsberg, Walt Disney, Charles Mingus and in collaboration with avant-theatre director Robert Wilson.